Many of you always ask me where to buy the beauty stuff that I posted on my social media, especially on snapchat (@carolinemayling). Instead of replying you one by one, I shall list down a few of the online beauty shopping sites where I always purchase my beauty stuff. Luxola has been one of my favorite online beauty shopping sites for all the wide ranges of beauty brands and products that they carry on their site. Now that they have already rebranded to Sephora online shopping site, I can't be any happier than this as this simply means we fellow Malaysian beauty junkies can easily get tons of beauty brands that previously never been available in Malaysia! Not only you can buy cosmetics and fragrances, but also buy skincare products from Sephora Malaysia online! For those who knows me, you would know I used to purchase my Korean beauty products from Koreadepart before we can easily get them from their beauty stores and online beauty shop in Malaysia that won't cost a bomb on shipping. And, I have this product that works so well for my sensitive and acne prone skin type which I got it from Wishtrend Korea - Chica Y Chico Beta-Salic 2.0 - is now available on Hermo, can you feel my happiness and I can never feel grateful enough for such convenient! 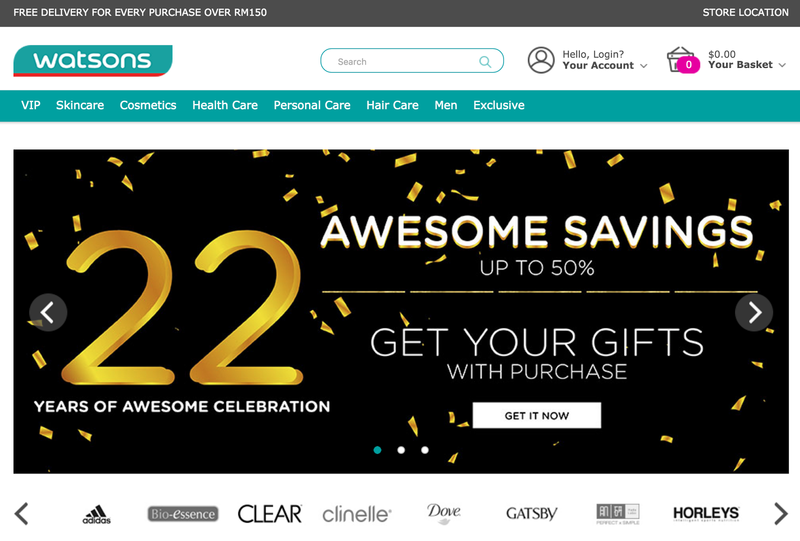 For drugstore beauty products, I often get either from Watsons or Guardian online sites to take advantage on their online promotion! Here's the thing, shopping online is not only going to save your time to drive out or visit the mall/outlet but the promotion that going to save more of your money as well as free shipping! 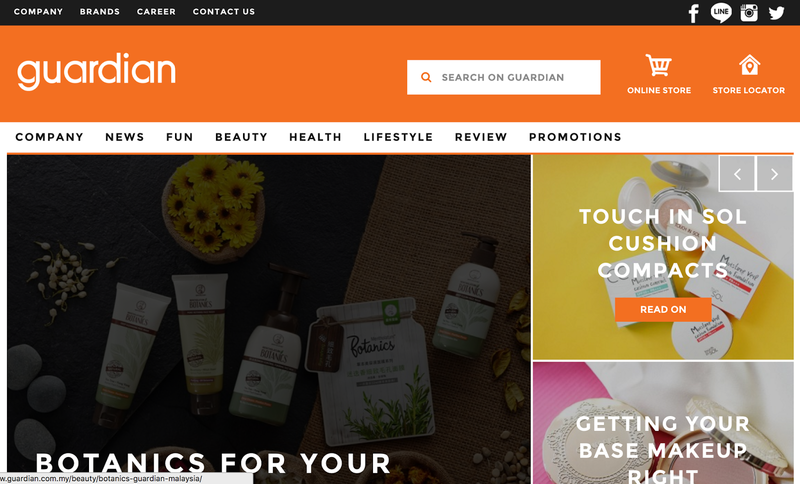 Well, I do have a few more online shopping sites that I would sometimes visit whenever they offer a great deals such as The Body Shop, Lazada, 11street, etc. Though most of the time, I would just go to these few sites to shop all my beauty products right away! How about you? Shopping Online is the trend now, and the future business model too. Never try their online shops before, good services? So many online shops... best is knowing what's happening in the backend of all these portals. Often time, being involved in web development, really turn me away from the online shops. Hopefully they'll improve on their security. Online shopping is really convenient, no wonder there are lots of shopping sites nowadays. But it's hard to get good website without recommendation. Sometime too many choices of online website to browse through is a bit hassle to me. I usually will find one stop online website that offer me with reasonable price and free shipping. My favourite online beauty shopping is Althea. hehe.. my fav online store also in the list! Watson however sad about it, many times cannot login or access, FB them already and still the same, give up already. Very easy when everything just in a click of finger. Tapi kaching$$ pun kena prepare banyak. Hehehee..
Sephora is definitely great to be online. Watsons and Guardian I prefer to go and buy myself. The problem with some of the online store is, they don't sell all the products that are available in their retail stores. But of course, overall I still prefer to get things online. It is much easier and sometimes they might have good discounts too. online store is very convenient for us who are living busy and hectic lifestyle. i personally love them as i don't have time to walk in to the stores! I bought most of mine from qoo10. Can compare price easily! Looks like your favourites are my favourites too, especially Sephora! I love the convenience that online shopping offers. sephora, i always wonder why the ladies go crazy when entering this shop. now got online version, oh wow. Only thing i find missing in online shopping is that some of the off season great deals you get in the store are not online. Nice article. You can check site CouponBelanja. We offer free coupons and deals for online stores in Malaysia. 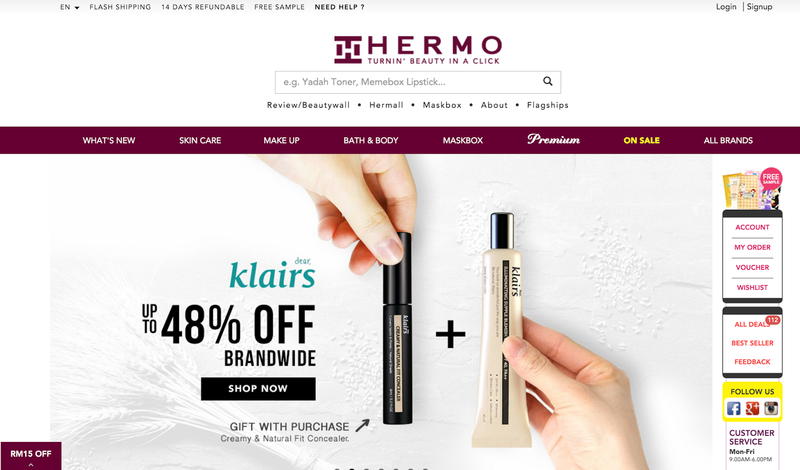 Sephora and Hermo store always have wonderful beauty products. Who don’t want discounts on shopping??? I am addicted of online shopping and always find cheap products or discounts for my shopping. Your shared post will really helpful to me and from mow I always use coupons from Voucher Codes. It's so interesting to see what online beauty stores are available to different countries. I love that at least with Sephora it's pretty universal and now lots of countries can shop from them. I am a fan of korean cosmetis.